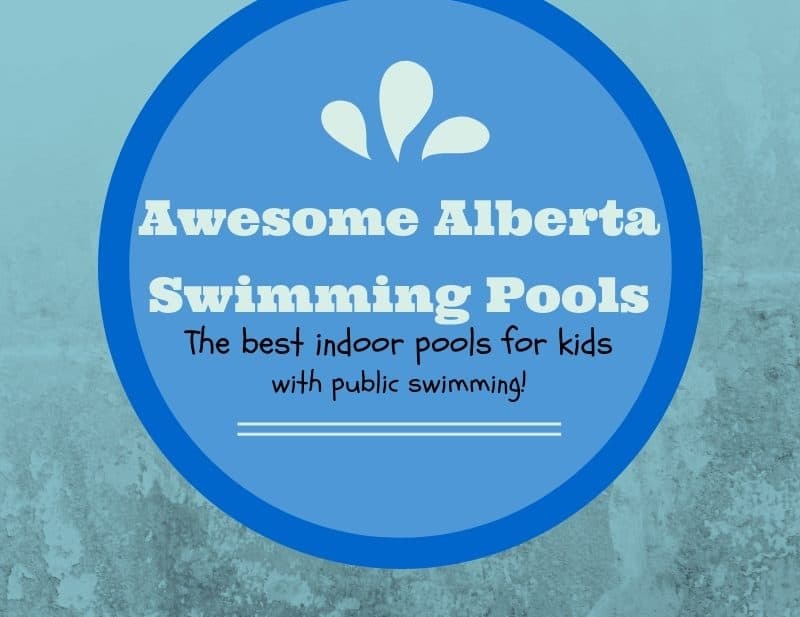 This list contains the best swimming pools in Southern and Central Alberta that are open for public swimming. 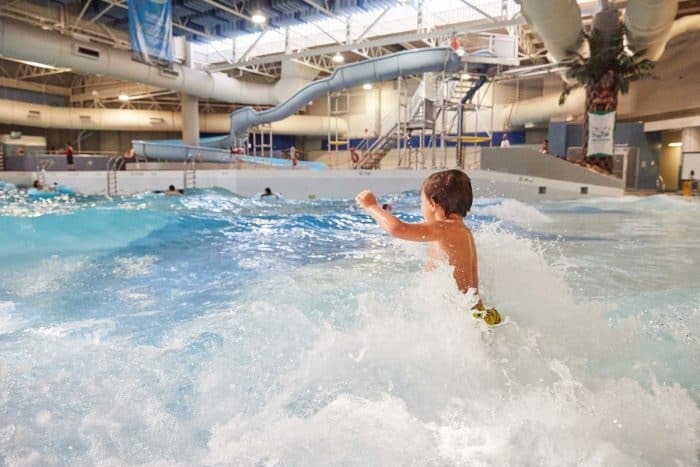 These aquatic centres offer much more than your basic lap pool – waterslides, spray features, lazy rivers and more! 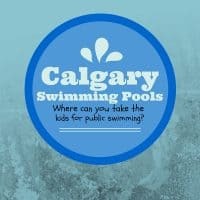 Do you know of a pool that should be on this list? Please let me know! Banff – Douglas Fir Resort – features two giant waterslides, kiddie pool, and hot tub. This water park is in the hotel complex but is open to the public. 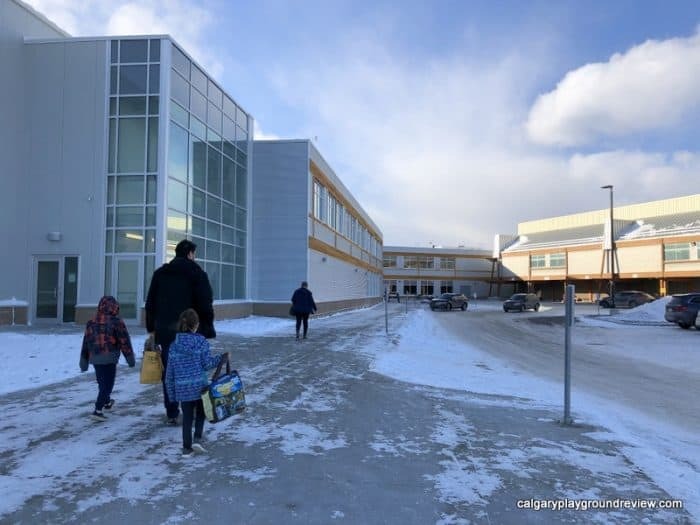 Drumheller – Drumheller Aquaplex – features an indoor pool with water slide and large tot area and an outdoor pool as well. 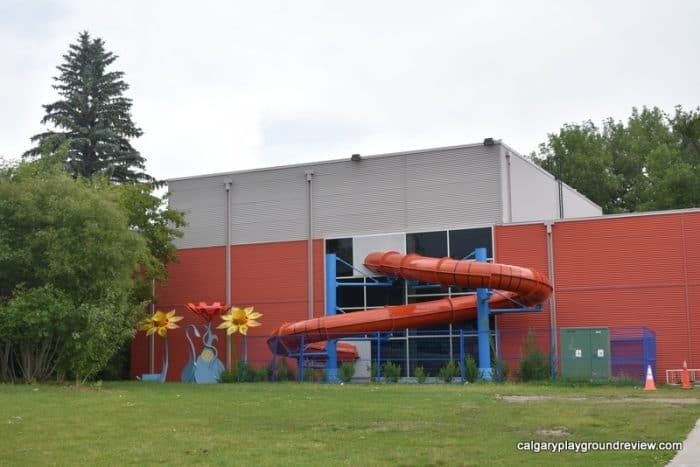 Red Deer – Collicutt Centre – wave pool with zero depth entry and spray features. Water slide with landing flume. 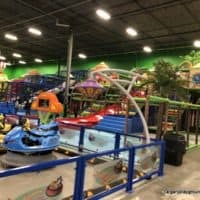 Lazy river, warm interactive playground with double slide and spray features. Tot pool and two hot tubs. – G.H. 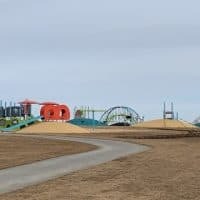 Dawe Water Park – Pool, Leisure pool with zero depth entry, shallow warm play pool, spray pool and large hot tub and two big waterslides. 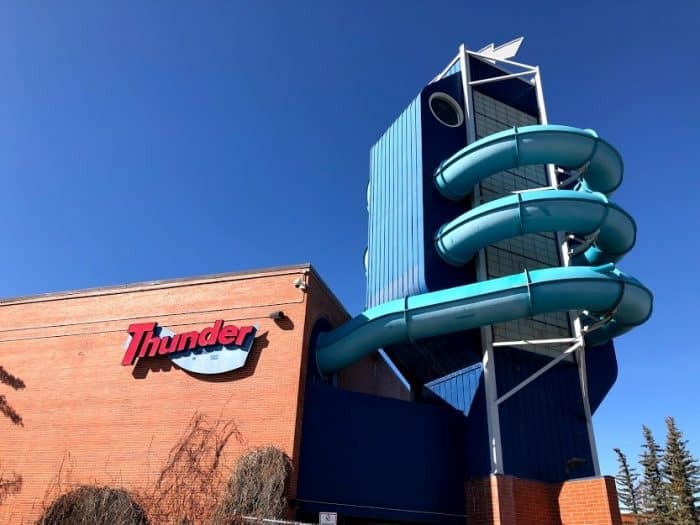 Pincher Creek – Multi-purpose Facility – features a 6-lane competition swimming pool children’s slide, diving board, hot tub kiddie pool with splash fountain, tarzan rope and waterslide. Kananaskis Village – Pomeroy Kananakis Mountain Lodge – This waterpark looks awesome, but it requires staying at the hotel to access it. 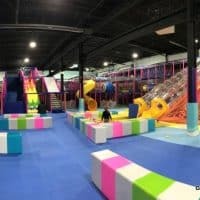 It has a Rocky Mountain theme with a Leisure Pool with zero depth entry, water cannons, water play table, spray features, water slides and small slides.